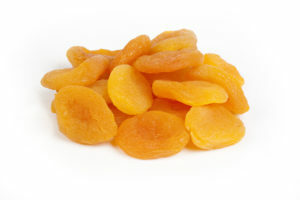 Average export price for whole apricots for January was $2978/ton FOB compared to $3351 last year. ten at the lower levels, and this will keep the shipping numbers somewhat solid for the rest of the season, the only caveat we would put to this is the possibility of packers being unable to find acceptable quality fruit to ship in the second half of the season. The price has risen 70% since the unrealistically low speculative opening prices, and defaults are being reported. We conclude that the crop will be exported in its entirety, and prices should remain firm. The winter has been mild, on average 5 C or more warmer than usual. The trees are waking up early. The forecast for the next 2 weeks is again 5 to 10 C warmer than the average for February. An early bloom is now more likely than not. Eastern Turkey is facing the worst drought for 44 years. Dams are below 30% with some less than 10% where they should be full at this time of the year. There is barely any snowpack. Unless we see massive rain in the spring, many farms without deep well water will not have access to irrigation. 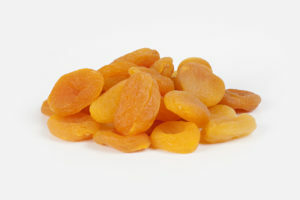 The apricot acreage continues to decrease as the younger generation turn their backs on subsistence apricot farming. Investors are deterred from new plantings given the small size of farms, the high frost risk and below cost of production prices frost free years.